A FANTASTIC FREEHOLD INVESTMENT OPPORTUNITY. AN IMPRESSIVE PURPOSE BUILT DEVELOPMENT OF 17 TWO BEDROOM APARTMENTS CURRENTLY LET PRODUCING £149,000 PER ANNUM. Ideal for Altrincham and Sale, the Metrolink, M56/M6 Motorway networks and Manchester Airport. A SUPERBLY APPOINTED DETACHED ON A MATURE, PRIVATE, 0.34 ACRE PLOT ON ONE OF THE MOST PRESTIGEOUS ROAD IN CHESHIRE. 5000sqft. Hall. WC. Three Receptions. Live In Breakfast Kitchen. Utility. Six Bedrooms. Five Baths/Showers. Double Garage. A WONDERFUL FOUR STOREY EDWARDIAN DETACHED ON A LOVELY 0.28 ACRE SOUTH WEST FACING PLOT WITHIN A MOMENTS WALK OF THE VILLAGE. 5000sqft. Porch. Hall. WC. Three Receptions. Breakfast Kitchen. Utility. Six Bedrooms. Four Baths/Showers. Self-Contained Basement Apartment. Garage. A WONDERFUL, MUCH IMPROVED VICTORIAN SEMI DETACHED OF ENORMOUS CHARACTER, LOCATED WITHIN A MOMENTS WALK OF THE TOWN CENTRE. 5358sqft. Porch. Hall. Four Receptions. Breakfast Kitchen. Utility. Shower/WC. Six/Seven Bedrooms. Four Baths/Showers. Extensive Parking. Garage. Gardens. ONE OF THE FINEST APARTMENTS IN SOUTH MANCHESTER AND CHESHIRE WITH DIRECT GARDEN ACCESS AND A SUBSTANTIAL SOUTH FACING PATIO. Hall with Lift. Dining Hall. Living Room. 500sqft Live In Breakfast Kitchen. Utility. Three Double Bedroom and Bathroom Suites. 500sqft Principal Bedroom Suite. Double Garage. A STUNNING REMODELLED DETACHED ON A WONDERFUL SOUTH/WEST FACING 0.38 ACRE PLOT, AT THE HEAD OF A CUL DE SAC IDEALLY LOCATED FOR THE VILLAGE. 3591sqft. Hall. WC. Two Receptions. 800sqft Live In Dining Kitchen. Utility. Five Bedrooms. Four Baths/Showers. Driveway. Garage. A WONDERFUL CUSTOM BUILT DETACHED OF IMPRESSIVE PROPORTIONS ON A REMARKABLE 0.70 ACRE PLOT, BACKING ON TO DUNHAM FOREST GOLF COURSE. 4900sqft. Hall. WC. Three Receptions. Study. Conservatory. Five Bedrooms. Three Bathrooms. Office. Double Garage. Beautiful Gardens. A UNIQUE OPPORTUNITY TO ACQUIRE THIS MAGNIFICENT VICTORIAN FAMILY HOME IN THE HEART OF THE DOWNS CONSERVATION AREA STANDING ON A WONDERFUL 0.20 ACRE PLOT. 4776 sqft. CHAIN FREE. Three Receptions. Breakfast Kitchen. Utility. Six Bedrooms. Three Baths/Showers. Laundry. Four Cellars Rooms. Lovely Gardens. Driveway. A BEAUTIFULLY SITUATED MODERN DETACHED FAMILY HOME POSITIONED ON A LOVELY PRIVATE 0.40 ACRE PLOT JUST OFF GREEN WALK. 3415sqft. 450sqft Outbuilding/Games Room/Den. Porch. Hall. Cloaks/WC. Two Receptions. 400sqft Live In Breakfast Kitchen. Utility. Five Bedrooms. Two Bathrooms. Driveway. Double Garage. A UNIQUE SINGLE STOREY DETACHED FAMILY SIZED HOME, UNSEEN FROM THE ROAD ON A BEAUTIFUL SOUTH FACING 0.40 ACRE PLOT WITHIN WALKING DISTANCE OF HALE VILLAGE. 3200sqft. Open Plan Hall. Cloaks/WC. Two/Three Receptions. Breakfast Kitchen. Utility. Three/Four Bedrooms. Two Bathrooms. Gated Driveway. Double Garage. A LOVELY ARTS AND CRAFTS DETACHED ON A 0.33 ACRE CORNER PLOT MID WITHIN EASY REACH OF HALE AND HALE BARNS VILLAGE CENTRES. 3443sqft. Porch. Hall. WC. Three/Four Receptions. Breakfast Kitchen. Utility. Five Double Bedrooms. Two Bathrooms. Carriage Driveway. Double Tandem Garage. A SUPERBLY PROPORTIONED DETACHED FAMILY HOME ON A WONDERFUL 0.28 ACRE GARDEN PLOT IN THIS DESIRABLE PART OF BOWDON. 2806sqft. Porch. Hall. Three Receptions. Breakfast Kitchen. Utility. Five Double Bedrooms. Three Baths/Showers. Carriage Driveway. Great Gardens. A SUPERBLY SIZED DETACHED FAMILY HOME ON A MATURE 0.28 ACRE PLOT AND OFFERING TREMENDOUS POTENTIAL TO REMODEL OR REDEVELOP SUBJECT TO CONSENTS. 3300sqft including Loft Room. Porch. Hall. WC. Three Receptions. Breakfast Kitchen. Five Bedrooms. Three Bath/Shower Rooms. Carriage Driveway. Double Garage. Fantastic Gardens. A FANTASTIC VICTORIAN SEMI DETACHED OVER FOUR FLOORS WITH A BEAUTIFUL GARDEN AND IDEAL FOR HALE VILLAGE, STAMFORD PARK AND SCHOOL. 3371sqft. Porch. Hall. Three Receptions. Breakfast Kitchen. Utility. Five Bedrooms. Two Baths/Showers. Cellars. Large Garage. A REMARKABLE REMODELLED THREE STOREY DETACHED FAMILY HOME IDEAL FOR THE BOLLIN AND BOWDON CHURCH SCHOOLS. 2720sqft. Hall. Cloaks/WC. Two Receptions. Stunning 800sqft Living Room and Dining Kitchen. Utility. Five Bedrooms. Three Baths/Showers. Driveway. Garage. Good Garden. A WONDERFUL LARGE FIVE BEDROOMED DETACHED WHICH ENJOYS A BEAUTIFUL APPROX 0.289 ACRE GARDEN PLOT. BEAUTIFUL TREE LINED CUL DE SAC. AMAZING SETTING BACKING ONTO WALKDEN GARDENS. Four reception rooms. Stylish Kitchen .Utility. Five Bedrooms. Three Bath/Shower. Dbl Garage. Stunning gardens. FIRST CLASS LOCATION. AN IMPRESSIVE VICTORIAN FOUR STOREY PROPERTY WITH A GREAT GARDEN, SUPERBLY STYLED THROUGHOUT AND FEATURING A FABULOUS GARDEN ROOM. 3110sqft. Hall. WC. Three Receptions. 500sqft Live In Dining Kitchen. Five Double Bedrooms. Four Baths/Showers. Driveway. Walking distance both Hale and Altrincham. A SUPBERLY PROPORTIONED AND BEAUTIFULLY PRESENTED VICTORIAN TERRACE ON THIS POPULAR ROAD WALKING DISTANCE TO HALE AND ALTRINCHAM. 3080sqft. Hall. Lounge. Home Office. Play Room. Living/Dining Kitchen. Utility. Four/Five Double Bedrooms. Four Bath/Showers. Driveway. Garden. A DETACHED FAMILY HOME ON A GOOD SIZED PLOT IN A POPULAR PART OF BOWDON. READY TO MOVE IN TO BUT ALSO WITH EXCELLENT POTENTIAL STP. 1856sqft. Porch. Hall. WC. Three Receptions. Kitchen. Four Bedrooms. Bathroom. WC. Driveway. Garage. Great Garden. A SUPERBLY SIZED EXTENDED SEMI DETACHED ON THIS DESIRABLE ROAD CLOSE TO HALE VILLAGE AND WITH BOLLIN VALLEY WALKS ON THE DOORSTEP. 2208sqft. Hall. Two Receptions. Live In Dining Kitchen. Utility. WC. Five Bedrooms. Two Baths. Showers. A UNIQUE OPPORTUNITY TO ACQUIRE A GROUND FLOOR APARTMENT WITH SECURE UNDERCROFT PARKING AND TWO PRIVATE SOUTH FACING PATIOS CLOSE TO ALTRINCHAM. 1333sqft. Hall. Living/Dining Room. Kitchen. Utility. Three Bedrooms. Two Bath/Showers. Guest/Resident Parking. Communal Gardens. AN IMPRESSIVE, BEAUTIFULLY APPOINTED THREE STOREY PROPERTY ON AN EXCLUSIVE GATED DEVELOPMENT. 2230 sq ft. Porch. Hall. WC. Lounge. Dining Kitchen and open plan Family Room. Utility. Four Double Bedrooms. Three Bath/Showers. Parking. Gardens. AN EXCEPTIONAL TOWN HOUSE WITHIN A GATED DEVELOPMENT IDEALLY LOCATED WITHIN WALKING DISTANCE OF ALTRINCHAM AND HALE. 1773sqft. Hall. Cloakroom/WC. Living/Dining Room. Breakfast Kitchen. Laundry Room. Four/Five Bedrooms. Study. Two Bathrooms. Principal Bedroom Suite. Parking. Private Garden. A FABULOUS LARGE DETACHED FAMILY HOME WHICH OFFERS AROUND 2500 SQFT OF ACCOMMODATION AND ENJOYS A WONDERFUL 0.205 ACRE PRIVATE GARDEN PLOT. MUCH UPGRADED AND IMPROVED THROUGHOUT. 22' Hallway. Three/Four Reception Rooms. High Spec Kitchen. Large Utility. GF Shower Room. Four First Floor Bedrooms. Two Bath/Shower, One En Suite. Impressive gardens. Ample parking and garage. A LOVELY VICTORIAN TERRACED PROPERTY WITH CONVERTED CELLARS AND WEST FACING GARDEN AND SUPERBLY LOCATED IN THE HEART OF THE VILLAGE. 1578sqft. Hall. Two/Three Receptions. Breakfast Kitchen. Utility. Three/Four Bedrooms. Two Baths/Showers. Gardens. No Chain. A BEAUTIFUL LARGE FIVE BEDROOMED PERIOD SEMI DETACHED WHICH OFFERS A WONDERFUL AMOUNT OF ACCOMMODATION EXTENDING TOWARDS 2500 SQFT. IMMACULATE INTERIOR. PERIOD FEATURES THROUGHOUT. DRIVEWAY, GARAGE AND GARDENS. IDEAL FOR SCHOOLS AND TOWN CENTRE. Hallway. Lounge. Sitting Room. 20' Dining Kitchen. Cellars/Utility. Five good sized Bedrooms. Two re fitted Contemporary Bath/Shower rooms, one En suite. Driveway parking. Garage. Lovely rear garden. A SUPERBLY SIZED AND WELL APPOINTED SEMI DETACHED ARRANGED OVER FOUR FLOORS ON A QUIET CUL-DE-SAC CLOSE TO ALTRINCHAM AND HALE CENTRES. 2124sqft. Hall. WC. Three Reception Areas. Kitchen. Four Bedrooms. Two Bath/Showers. Cellars. Driveway. Gardens. AN IMPRESSIVE FOUR STOREY VICTORIAN PROPERTY WITH PARKING TO THE REAR AND A SOUTH FACING GARDEN AND PERFECTLY LOCATED IN THE HEART OF THE VILLAGE. 1750sqft. Hall. Three Receptions. Study. Breakfast Kitchen. Utility. WC. Three/Four Bedrooms. Two Baths/Showers. AN ATTRACTIVE BAY FRONTED PERIOD SEMI DETACHED ARRANGED OVER FOUR FLOORS WITH A GOOD GARDEN AND TIMPERLEY VILLAGE LITERALLY ON ITS DOORSTEP. 2200sqft. Hall. Lounge. Family Room. Dining Kitchen. Utility. Five Bedrooms. Two Bath/Showers. Driveway. Gardens. A BEAUTIFULLY PRESENTED, EXTENDED AND REMODELLED DETACHED FAMILY HOME WITH SUPERB GARDENS AND THE WELLGREEN SCHOOL ON THE DOORSTEP. 1600sqft. Hall. WC. Family Room. Living/Dining Room. Breakfast Kitchen. Utility. Four Double Bedrooms. Two Bath/Showers. Driveway. Gardens. A WONDERFUL INVESTMENT OPPORTUNITY TO PURCHASE A LARGE PERIOD SEMI DETACHED WHICH HAS BEEN CONVERTED INTO THREE APPROX 800SQFT APARTMENTS PLUS LARGE BASEMENTS FOR STORAGE. **ALL THREE APARTMENTS CURRENTLY TENANTED GENERATING Flat 1 - £750pcm Until Jan 2020 - Flat 2 - £850pcm Until Nov 2019 -Flat 3 - £650pcm - Nov 2019*. EXCELLENT LOCATION CLOSE TO METROLINK AND TOWN CENTRE. POPULAR CUL DE SAC. Each apartment has a large lounge, Breakfast Kitchen, Two Bedrooms and Bathroom. Large Basements providing ideal storage space. Externally there is ample parking. AN IMPRESSIVE, EXTENDED AND REFURBISHED DETACHED FAMILY HOME WITH LARGE GARDEN PLOT WALKING DISTANCE TO WELL GREEN PRIMARY SCHOOL. 1384sqft. Hall. Three Reception Areas. Breakfast Kitchen. Three Double Bedrooms. Family Bathroom. Driveway. Gardens. No Chain. AN IMMACULATELY PRESENTED, 'NEARLY NEW', SEMI DETACHED FAMILY HOME, UNSEEN FROM THE ROAD YET RIGHT IN THE HEART OF THE TOWN CENTRE. 1912sqft. Hall. WC. Lounge. 400sqft Live In Dining Kitchen. Utility. Four Double Bedrooms. Three Baths/Showers. Gated Parking. Garden. A SUPERB CONTEMPORARY STYLE HOME IDEAL FOR STAMFORD PARK, EXCELLENT SCHOOLS, ALTRINCHAM TOWN CENTRE AND HALE VILLAGE. 1550 sqft. Hall. WC. Lounge. Dining Kitchen. Study Area. Three Bedrooms. Three Baths/Showers. Driveway. Garage. Gardens. No Chain. A FABULOUS PERIOD PROPERTY LOCATED ON THE POPULAR 'TREE ROADS' ARRANGED OVER FOUR FLOORS WITH THE RARE FEATURE OF PARKING FOR TWO CARS. 1659sqft. Hall. Lounge, Family Room. Dining Kitchen. Three Bedrooms. Two Baths/Showers. Cellars. Gardens. Parking. A WELL PRESENTED AND EXTENDED TRADITIONAL BAY FRONTED SEMI DETACHED FAMILY HOME ON A QUIET CUL-DE-SAC CLOSE TO STAMFORD PARK SCHOOL. 1427sqft. Hall. Lounge. Family Room. Dining Kitchen. Four Bedrooms. Two Bath/Showers. Driveway. Garage. Gardens. AN IMPRESSIVE, COMPREHENSIVELY EXTENDED AND UPGRADED, FIVE BEDROOMED SEMI DETACHED WITH APPROACHING 2000 SQFT OF ACCOMMODATION. OVER ASPECT OVER SPORTS FIELD TO THE REAR. Hall. Sitting Room. Lounge.Large Open Plan Living Dining Kitchen. Utility + WC. Five Bedrooms over upper floors. Three Bath/Shower, two En Suite. Ample Parking. Lovely private garden. A WONDERFUL FAMILY HOME. A SUPERB REMODELLED END MEWS HOUSE WITH DIRECT GARDEN ACCESS IN AN EXCELLENT DEVELOPMENT IDEAL FOR THE TOWN CENTRE. 1355sqft. Porch. Hall. WC. 500sqft Open Plan Living and Dining Room and Breakfast Kitchen. Three Bedrooms. Two stylish Baths/Showers. Two Car Parking. Garage. Gardens. A FABULOUS EXTENDED SEMI-DETACHED FAMILY HOME WITH THE WONDERFUL FEATURE OF TIMPERLEY POOL LITERALLY AT THE BOTTOM OF THE GARDEN! 1931sqft. Hall. Three Receptions. Breakfast Kitchen. Conservatory. Utility. WC. Four Bedrooms. Two Baths/Showers. Driveway. A WELL PRESENTED AND EXTENDED DOUBLE BAY FRONTED DETACHED ENJOYING A PEACEFUL CUL-DE-SAC POSTION WITH LARGE SUNNY ASPECT GARDENS. 1308sqft. Hall. WC. Lounge. Dining Room. Breakfast Kitchen. Utility. Store. Four Bedrooms. Two Bath/Showers. Driveway. Gardens. A BEAUTIFULLY PRESENTED SEMI DETACHED ARRANGED OVER THREE FLOORS, ON QUIET CUL DE SAC IDEAL FOR TIMPERLEY VILLAGE AND EXCELLENT SCHOOLS. 1659sqft. Hall. WC. Two Receptions. Breakfast Kitchen. Utility. Four Bedrooms. Two Baths/Showers. Store. Driveway. Gardens. A SUPERBLY PRESENTED FIVE BEDROOMED MODERN DETACHED WHICH OFFERS EXCELLENT FAMILY ACCOMMODATION OVER THREE FLOORS. IMMACULATE INTERIOR. POPULAR DEVELOPMENT IDEAL FOR SCHOOLS. Hall. WC. Lounge. Dining Room. Breakfast Kitchen. Five Bedrooms. Three Bath/ Shower - Two of which are En Suite. Ample Parking. Integral Garage. Lovely rear Garden. Energy Rating: D NO CHAIN! A WONDERFUL LARGER THAN AVERAGE THREE BEDROOMED DETACHED LOCATED AT THE END OF A SMALL CUL DE SAC. BEAUTIFUL REAR GARDEN BACK ONTO PLAYING FIELDS. SOME GENERAL UPDATING REQUIRED. Large Hall. Wc. Dining Room. Lounge. Conservatory. Morning room. Kitchen. Three good sized Bedrooms. Bathroom. Large driveway. Garage. Fabulous gardens! A SUPERBLY PROPORTIONED AND MUCH IMPROVED THREE STOREY TOWN HOUSE IN POPULAR LOCATION FOR THE BOLLIN AND BOWDON CHURCH SCHOOLS. 1676sqft. Hall. WC. 400sqft Live In Dining Kitchen. First Floor Lounge. Study. Three/Four Bedrooms. Two Baths/Showers. Driveway. West Facing Gardens. A WELL PRESENTED AND EXTENDED SEMI DETACHED FAMILY HOME WITH DELIGHTFUL VIEWS OVER OPEN COUNTRYSIDE. 2005sqft. Hall. WC. Living/Dining Room. Garden Room. Study. Live in Breakfast Kitchen. Four Bedrooms. Three Bath/Showers. Single Garage. Driveway. Gardens. A BEAUTIFULLY PRESENTED, SUBSTANTIALLY UPGRADED EDWARDIAN SEMI DETACHED ON A CUL DE SAC WITHIN A MOMENTS WALK OF THE METRO. 1681sqft. Hall. Lounge. 300sqft Live In Dining Kitchen. Four Bedrooms. Family Bathroom. Cellar Chambers. Driveway. Gardens. A WONDERFUL FOUR STOREY VICTORIAN PROPERTY WITH ENORMOUS SCOPE TO IMPROVE, SUPERBLY LOCATED FOR THE TOWN CENTRE AND METROLINK. 2775sqft. Hall. Three Reception Rooms. Kitchen. Five Bedrooms. Bathroom. Excellent Cellars. Rear Driveway. Gardens. No Chain. AN APPEALING DETACHED WALKING DISTANCE OF WELL GREEN PRIMARY AND CLOSE TO ALTRINCHAM, HALE AND HALE BARNS CENTRES. 1267sqft. Hall. WC. Three Receptions. Kitchen. Three Double Bedrooms. Bathroom. Sep WC. Driveway. Garage. Gardens. No Chain. AN IMPRESSIVE LARGE EXTENDED FOUR BEDROOOMED PERIOD SEMI DETACHED WHICH OFFERS OVER 2100 SQFT OVER FOUR FLOORS. LOFT AND CELLAR CONVERSIONS. DRIVEWAY, GARAGE AND GARDENS. Hall. Lounge. Dining Room. 19' Family Kitchen. WC. Playroom. LGF Study, Shower room + Utility. Four Beds over upper floors. Two bath/shower, one En Suite. GREAT LOCATION FOR SCHOOLS. A STYLISH, MUCH UPGRADED AND IMPROVED, DETACHED BUNGALOW WHICH ENJOYS A WONDERFUL PLOT WITH GARDENS TO ALL SIDES. VERY POPULAR LOCATION. NEUTRAL RE DECORATION, RE FITTED KITCHEN AND BATHROOM. Hall. Large Lounge. Dining Kitchen. Two good dbl Bedrooms. Bathroom. Driveway Parking. Integral Garage. Lovely landscaped gardens. A SUPERB MODERN SEMI DETACHED IN GATED DEVELOPMENT WITH OPEN VIEWS OVER COUNTRYSIDE, IDEAL FOR LOCAL SCHOOLS AND CLOSE TO ALTRINCHAM. 1206sqft. Hall. Open Plan Living/Dining Kitchen. Four Bedrooms. Two Bath/Showers. Driveway. Gardens. No Chain. **BEST AND FINAL OFFERS TO MADE BY TUESDAY 26TH MARCH 1PM - OFFERS IN WRITING TO SALE@WATERSONS.NET**A BEAUTIFULLY PRESENTED FOUR BEDROOMED MODERN DETACHED WHICH HAS BEEN TASTEFULLY UPGRADED THROUGHOUT. RE FITTED KITCHEN. IDEAL LOCATION FOR SCHOOLS. Hall. Wc. Lounge. Large Open Plan Dining Kitchen. Utility. Four Bedrooms. Bathroom+ En Suite Shower. Ample parking. Garage. Enclosed rear garden. A WELL PRESENTED AND IMPROVED SEMI DETACHED FAMILY HOME WITH GOOD GARDEN CLOSE TO EXCELLENT SCHOOLS AND HALE, ALTRINCHAM AND HALE BARNS CENTRES. 1233sqft. Hall. Living/Dining Room. Conservatory. Kitchen. Four Bedrooms. Bathroom. Sep WC. Driveway. Gardens. A SUPERBLY PROPORTIONED GROUND FLOOR APARTMENT IN NEED OF MODERNISATION WITH DIRECT GARDEN ACCESS WALKING DISTANCE TO ALTRINCHAM. 1363sqft. Communal Entrance. Hall. Lounge. Dining Kitchen. Three Bedrooms. Two Bath/Showers. Parking. Garage. Communal Gardens. No Chain. A STUNNING THREE STOREY TOWNHOUSE SITUATED ON THIS EVER POPULAR DEVELOPMENT CLOSE TO HALE VILLAGE AND ALTRINCHAM TOWN CENTRE. 1496 sqft. Porch. Hall. WC. Two Receptions. 19' Dining Kitchen Utility. Four Bedrooms. Two Bath/Showers. Driveway. Gardens. A FABULOUS FOUR BEDROOMED EXTENDED PERIOD SEMI DETACHED WHICH HAS A SUPERB LOFT CONVERSION, DRIVEWAY AND LOVELY ESTABLISHED REAR GARDEN. CLOSE TO PARK ROAD SCHOOL. THREE RECEPTION ROOMS. Hall. Lounge. Dining room. Kitchen. Breakfast Room. Four Bedrooms over the upper floors. Bathroom. Excellent rear garden. Garage. A WELL PRESENTED AND EXTENDED SEMI DETACHED WITHIN THIS POPULAR LOCATION CLOSE TO GOOD SCHOOLS , SHOPS AND METROLINK. 1271sqft. Hall. Two Receptions. 18' Dining Kitchen. Utility. Four Bedrooms. Two Bath/Showers. Driveway. Gardens. A SUPERBLY PRESENTED, EXTENDED AND IMPROVED BAY FRONTED SEMI DETACHED FAMILY HOME WITH GOOD GARDEN, WALKING DISTANCE TO TIMPERLEY METRO. 1264 sqft. Hall. WC. Lounge. Family Room. Dining Kitchen. Utility. Three Bedrooms. Bathroom. Driveway. Gardens. A SUPERBLY APPOINTED, SEMI DETACHED IN THIS POPULAR NEIGHBOURHOOD WALKING DISTANCE TO LOCAL SCHOOLS AND THE METRO. 1100sqft. Hall. Living/Dining Room. 300sqft Open Plan Family Room and Breakfast Kitchen. Three Bedrooms. Family Bathroom. Driveway. Garden. A STUNNING, EXTENDED AND UPDATED MODERN SEMI DETACHED FAMILY HOME WITH SOUTH FACING GARDEN WALKING DISTANCE TO ALTRINCHAM. 1363sqft. Hall. WC. Lounge. 400sqft Live In Dining Kitchen. Three Double Bedrooms. Two Bath/Showers. Garage/Store. Driveway. Gardens. A STUNNING, REMODELLED SEMI DETACHED IDEALLY LOCATED FOR THE METRO, TOWN CENTRE, EXCELLENT SCHOOLS AND MARKET QUARTER. 1033sqft. Hall. Lounge. Impressive 350sqft Live In Dining Kitchen. Three Bedrooms. Stylish Bathroom. Driveway. Garage. Gardens. No Chain. A 2500 SQUARE FOOT MIXED RESIDENTIAL AND COMMERCIAL INVESTMENT OPPORTUNITY IN A PROMINENT CORNER POSITION LOCATION. Ground and Lower Ground Floor/Retail/Hairdressers and Beauty Salon. First and Second Floor Three Bedroom Apartment. Parking. Garden. A BEAUTIFULLY PRESENTED AND DECEPTIVELY SPACIOUS BAY FRONTED PERIOD TERRACED WITH DELIGHTFUL GARDEN WALKING DISTANCE OF TIMPERLEY VILLAGE AND SCHOOLS. 1545sqft. Hall. WC. 26' Living/Dining Room. Kitchen. Cellars. Three Double Bedrooms. Two Bath/Showers. Driveway. Gardens. AN IMMACULATELY PRESENTED MODERN DETACHED ENJOYING A CUL DE SAC POSITION ON THIS POPULAR DEVELOPMENT CLOSE TO OLDFIELD BROW SCHOOL. 1199sqft. Hall. WC. Open Plan Living and Dining Room. Conservatory. Kitchen. Three bedrooms. Bathroom. Driveway. Garage. Gardens. **BEST AND FINAL OFFERS IN WRITING BY WEDS 10TH APRIL 1PM WITH PROOF OF FUNDS - SEND TO SALE@WATERSONS.NET**AN EXCELLENT SIZED, EXTENDED, FOUR BEDROOMED DETACHED WHICH ENJOYS A WONDERFUL REAR GARDEN. Hall. Lounge. Dining room. Kitchen. Large Utility + WC. Four Bedrooms. Shower room. Ample parking. Garage. Excellent sized rear garden. A SUPER FAMILY HOME! A BEAUTIFULLY PRESENTED PERIOD TERRACE ARRANGED OVER FOUR FLOORS WITH WEST FACING GARDEN, IDEALLY LOCATED FOR LOCAL SCHOOLS, SHOPS AND ALTRINCHAM. 1409SQFT. Hall. 26' Living/Dining Room. 15' Breakfast Kitchen. Three Double Bedrooms. Two Bath/Showers. Garden. A BEAUTIFULLY PRESENTED AND EXTENDED SEMI DETACHED WITH GOOD SIZE, SUNNY ASPECT GARDEN WALKING DISTANCE TO LOCAL SCHOOLS AND METROLINK. 1343sqft. Hall. Lounge. Open Plan Living Room/Dining Kitchen. Utility. Three Double Bedrooms. Two Bath/Showers. Driveway. Gardens. A MODERN SEMI DETACHED FAMILY HOME ON THE POPULAR STAMFORD BROOK DEVELOPMENT AND OVERLOOKING A GREEN TO THE FRONT. 1352sqft. Hall. WC. Lounge. Dining Kitchen. Four Double Bedrooms. Three Baths/Showers. Parking. Garage. Gardens. AN EXCELLENT SIZED, EXTENDED THREE BEDROOMED SEMI DETACHED SITUATED WITHIN THE POPULAR 'LAKES ESTATE'. IDEAL FOR BROOKLANDS PRIMARY AND GRAMMAR SCHOOL. Hall. Sitting Room. Lounge. Superb 16'2" x 11' Dining Kitchen with Velux windows. Three Bedrooms. Bathroom. Driveway. Lovely Private Gardens. A SUPERBLY PRESENTED THREE BEDROOMED MODERN DETACHED IDEALLY POSITIONED AT THE END OF A LOVELY CUL DE SAC. AMPLE PARKING, PRIVATE REAR GARDEN AND DET GARAGE. Hall. Lounge. Dining room. Kitchen. Three Bedrooms. Two Bath/Shower, one En Suite. Ample parking. Detached Garage and excellent private rear garden. AN IMPRESSIVE THREE BEDROOMED SEMI DETACHED WHICH HAS BEEN COMPREHENSIVELY EXTENDED AND REFURBISHED. DOUBLE HEIGHT REAR EXTENSION. FABULOUS PRIVATE REAR GARDEN. Hall. Sitting Room. 21' Lounge. 24' Breakfast Kitchen. Three Bedrooms. Huge Contemporary Bathroom. Beautiful garden. Garage and Utility. A SUPERBLY PRESENTED, UPDATED AND IMPROVED SEMI DETACHED BUNGALOW WITH DELIGHTFUL 160FT GARDEN. 955 sqft. Porch. Entrance Vestibule. 21' x 17' Living and Dining Room. Conservatory. Breakfast Kitchen. Two Bedrooms. Bathroom. Driveway. Gardens. No Chain. A WELL PROPORTIONED AND SUPERBLY PRESENTED BAY FRONTED SEMI DETACHED FAMILY HOME WITH GOOD GARDEN, WALKING DISTANCE TO NAVIGATION ROAD AND METRO. 879sqft. Hall. 13' Lounge. 13' Dining Room. 16' Kitchen. Three good Bedrooms. Driveway. Gardens. A DECEPTIVELY SPACIOUS PERIOD MID TERRACED ARRANGED OVER THREE FLOORS WITH JOHN LEIGH PARK AND ALTRINCHAM TOWN CENTRE ON ITS DOORSTEP. 1571 sqft. Hall. Lounge. Dining Room. Breakfast Kitchen. Three Bedrooms. Two/Bathrooms. Cellars. Permit Parking. Garden. A SUPERB BAY FRONTED SEMI DETACHED IN THIS POPULAR AREA IDEAL FOR THE METRO, TIMPERLEY VILLAGE AND EXCELLENT LOCAL SCHOOLS. 1073sqft. Hall. WC. Two Receptions. Dining Kitchen. Three Bedrooms. Bathroom. Driveway. South West Garden. No Chain. A SUPERBLY PROPORTIONED FIRST FLOOR APARTMENT WITHIN THIS IMPRESSIVE VICTORIAN CONVERSION, SUPERBLY LOCATED WITHIN WALKING DISTANCE OF HALE AND ALTRINCHAM. 1239sqft. Hall. Lounge. Dining Kitchen. Two Double Bedrooms. Two Bath/Showers. Parking. Garage. Extensive Communal Gardens. No Chain. A CHARMING COTTAGE STYLE END TERRACE WITH OFF STREET PARKING AND A LOVELY GARDEN, IDEALLY LOCATED WITH LOCAL SCHOOLS, CONVENIENCE SHOPS AND BOLLIN VALLEY WALKS ON THE DOORSTEP. 906sqft. Hall. Two Receptions. Refitted Breakfast Kitchen. Two Double Bedrooms. Loft Room. Stylish Bathroom. **NO CHAIN!! **AN EXCELLENT SIZED EXTENDED THREE BEDROOMED DETACHED IDEALLY SITUATED WITHIN A SHORT DISTANCE OF ASHTON ON MERSEY VILLAGE . Entrance Porch. Hall. Sitting Room. Lounge. Kitchen. Conservatory. WC. Three Bedrooms. Shower Room. Driveway parking. LARGE private rear garden. Garage. A BEAUTIFUL,COMPREHENSIVELY EXTENDED AND UPGRADED, PERIOD FAMILY HOME WITH AN AMAZING AMOUNT OF ACCOMMODATION OVER THREE FLOORS INC LOFT CONVERSION PLUS GROUND FLOOR EXTENSION WITH BI FOLDING DOORS. POPULAR CUL DE SAC. Hall. Lounge. Fabulous 22' Open plan living Dining Kitchen with bi folding doors. Three Double Bedrooms over the upper floors. Lovely private garden. AN UPDATED AND EXTENDED SEMI DETACHED FAMILY HOME WITH 90FT GARDEN, ENJOYING A WONDERFUL SEMI RURAL LOCATION WITH BRIDGEWATER CANAL ON ITS DOORSTEP. 1368sqft. Hall. Living/Dining Room. Study. Kitchen. Utility. Three Bedrooms. Three Bath/Showers. Driveway. Gardens. AN ATTRACTIVE, UPDATED AND IMPROVED BAY FRONTED TERRACE WITH SUNNY ASPECT GARDEN ON A POPULAR ROAD CLOSE TO HALE AND ALTRINCHAM. 1026 sqft. Hall. Lounge. Dining Room. Kitchen. Two Bedrooms. 16' Principal Bedroom. Bathroom. Gardens. A SUPERBLY SIZED BAY FRONTED PERIOD TERRACED ON THE EVER POPULAR 'B STREETS' WITH GARDEN TO THE REAR. 999sqft. Hall. 27' Living/Dining Room. 24' Breakfast Kitchen. Two Double Bedrooms. Bathroom. Courtyard Garden. Permit Parking. A WELL PRESENTED AND EXTENDED SEMI DETACHED FAMILY HOME WITH SOUTH FACING GARDEN WALKING DISTANCE TO EXCELLENT SCHOOLS AND TIMPERLEY VILLAGE. 1025sqft. Hall. Lounge. Dining Room. Breakfast Kitchen. Three Bedrooms. Stylish Bathroom. Driveway. Gardens. AN EXCELLENT SIZED TWO DOUBLE BEDROOMED DETACHED BUNGALOW WHICH ENJOYS A SUPERB ESTABLISHED REAR GARDEN. VERY POPULAR ROAD JUST OFF THE AVENUE. SOME GENERAL UPDATING REQUIRED. Porch. Hall. Large Lounge. Breakfast Kitchen. Conservatory. Two Bedrooms. Shower room. Driveway. Garage. Great gardens! NO CHAIN! A FABULOUS, MUCH IMPROVED AND UPGRADED, THREE BEDROOMED PERIOD END TERRACE WITH OFF ROAD PARKING + SUPERB GARDENS. IDEAL FOR METROLINK AND TOWN CENTRE. Immac interior. Porch. Hall. Lounge. Dining Room. Breakfast Kitchen. Three good sized Bedrooms. Bathroom. Driveway Parking and lovely landscaped rear garden. A SUPERBLY PRESENTED AND MUCH IMPROVED THREE BEDROOMED SEMI DETACHED WHICH ENJOYS A WONDERFUL OPEN ASPECT TO THE REAR OVER SPORTS FIELDS. IDEAL LOCATION FOR SCHOOLS. Hall. WC. Lounge. Dining Room. Kitchen. Three Bedrooms. Shower room. Ample driveway parking. Beautiful rear garden. Garage. A SUPERBLY SIZED MODERN SEMI DETACHED ARRANGED OVER TWO FLOORS AND LOCATED ON THE POPULAR STAMFORD BROOK DEVELOPMENT. 1508sqft. Hall. WC. Living/Dining Room. Family Room. Breakfast Kitchen. Utility. Four Bedrooms. Two Baths/Showers. Parking. Garage. Gardens. A STUNNING, COMPREHENSIVELY UPGRADED AND EXTENDED, THREE BEDROOMED MODERN DETACHED. STYLISH INTERIOR. CONTEMPORARY FITTINGS THROUGHOUT. IMPRESSIVE EXTENSION WITH BI FOLDING DOORS AND VELUX WINDOWS. Hall. Lounge. Dining Kitchen. Amazing Sitting room extions. Utility + WC. Three Bedrooms. Bathroom. Ample driveway parking. Landscaped rear garden. **VIEWINGS TO START WEEKEND 27TH/28TH APRIL CALL TO BOOK YOUR APPOINTMENT** A GOOD SIZED THREE BEDROOMED DETACHED LOCATED ON THIS POPULAR CUL DE SAC CLOSE TO SALE MOOR VILLAGE AND SEVERAL OF THE POPULAR SCHOOLS. Porch. Hall. Lounge. Dining Room. Kitchen. Three Bedrooms. Bathroom. Ample Parking. Garage. Enclosed rear garden. A GROUND FLOOR VICTORIAN CONVERSION APARTMENT WITHIN A MOMENTS WALK OF HIGH BARNET TOWN CENTRE AND FEATURING ITS OWN PRIVATE GARDEN. 632sqft. Living and Dining Room with bay. Breakfast Kitchen. Utility. Double bedroom. Bathroom. No Chain. AN EXCELLENT 'B STREET' TERRACE IDEALLY LOCATED WITHIN A FEW MINUTES WALK OF BOTH HALE VILLAGE AND ALTRINCHAM TOWN CENTRE. 793sqft. Porch. 350sqft Living and Dining Room. Open Plan to the Kitchen. Two Double Bedrooms. Well appointed Bathroom. Courtyard Garden. A MOST ATTRACTIVE PERIOD END TERRACE WITH WEST FACING COURTYARD GARDEN ON THIS DESIRABLE LANE WALKING DISTANCE OF HALE. 729sqft. 16' Lounge. 16' Dining Kitchen. Two Double Bedrooms. Bathroom. Store. Courtyard Garden. No Chain. A SUPERBLY PROPORTIONED THREE BEDROOMED SEMI DETACHED WHICH ENJOYS A WONDERFUL LARGE GARDEN WHICH EXTENDS TO OVER 100FT IN LENGTH. HIGHLY POPULAR LOCATION WITHIN AN EASY REACH OF SCHOOLS AND METROLINK. Hall. Lounge. Sitting Room. 17' Kitchen. Three Bedrooms. Bathroom. Driveway. Huge Garage. Amazing large rear garden. **VIEWINGS START SUNDAY OCTOBER 7TH CALL TO BOOK YOUR APPOINTMENT** AN EXCELLENT SIZED EXTENDED SEMI DETACHED WITH THREE GOOD SIZED BEDROOMS AND A SUPERB PRIVATE REAR GARDEN. Porch. Hall. Sitting Room. 20' Lounge. 17' Breakfast Kitchen. Three excellent-sized Bedrooms - Larger than average Third. Bathroom. Driveway. Garage. Great Gardens. NO CHAIN! *VIEWINGS START SAT 27TH APRIL CALL TO BOOK YOUR APPOINTMENT* AN EXCELLENT SIZED FOUR BEDROOMED SEMI DETACHED WHICH ENJOYS A SUPERB LOFT CONVERSION AND LOVELY ESTABLISHED REAR GARDEN. Porch. Large Hall. Lounge. Dining Room. Kitchen. Rear Hall with WC/Utility. Four good sized Bedrooms. Bathroom. Long Driveway. Garage. Established good sized gardens. A LARGER THAN AVERAGE SEMI DETACHED IN NEED OF SOME UPDATING, IN THIS POPULAR NEIGHBOURHOOD, WALKING DISTANCE TO LOCAL SHOPS AND METROLINK. 1200sqft. Lounge. Dining Room. Conservatory. Breakfast Kitchen. Three Bedrooms. Shower Room. Driveway. Garage. Gardens. A LARGER THAN AVERAGE, RECENTLY UPDATED AND IMPROVED, END TERRACED IN THIS POPULAR LOCATION CLOSE TO SCHOOLS, SHOPS AND ALTRINCHAM. 1300 sqft. Hall. WC. Lounge. Dining Kitchen. Four Bedrooms. Bathroom. Driveway. Gardens. No Chain. A SUPERB MODERN END MEWS PROPERTY WITH SOUTH FACING GARDEN, IDEALLY LOCATED IN A CUL-DE-SAC POSITION OVERLOOKING THE BOWLING GREEN. 815sqft. Hall. GFWC. Lounge. Dining Kitchen. Three Bedrooms. Two Bath/Showers. Two Allocated Parking Spaces. Garden. No Chain. A SUPERB THREE BEDROOMED SEMI DETACHED WITH LARGER THAN AVERAGE THIRD BEDROOMED AND SUPERB REAR GARDEN. LARGE FRONT GARDEN AND DRIVEWAY. Porch. Hall. WC. 27' Lounge and Dining Room. Conservatory. Kitchen. Three Bedrooms, 11'1" Bed 3. Shower Room. Large front garden and long driveway. Garage. Established private rear garden. NO CHAIN! A WELL PRESENTED MODERN MEWS ON THIS POPULAR DEVELOPMENT CLOSE TO ALTRINCHAM TOWN CENTRE, STAMFORD PARK AND SCHOOL. 837 sqft. Hall. WC. Living/Dining Room. Kitchen. Three Bedrooms. Two Baths/Showers. Driveway. South facing Garden. No Chain. A GOOD SIZED THREE BEDROOMED SEMI DETACHED WHICH ENJOYS AN EXCELLENT SIZED GARDEN PLOT WHICH EXTENDS TO AROUND 100FT AT THE FURTHEST POINT. IDEAL END OF CUL DE SAC LOCATION. Hall. Lounge. Dining Room. 20' Kitchen. Three Bedrooms. Stylish Contemporary Shower Room. Ample Parking. Garage. Superb large rear garden. NO CHAIN! A SUPERBLY PRESENTED THREE BEDROOMED SEMI DETACHED WHICH HAS BEEN TASTEFULLY IMPROVED THROUGHOUT. POPULAR LOCATION FOR SCHOOLS. AMPLE PARKING. LOVELY REAR GARDEN. Hall. Lounge. Dining Room. Kitchen. Three Bedrooms. Re fitted Bathroom. Long driveway. Gardens. A TRADITIONAL BAY FRONTED SEMI DETACHED IN NEED OF UPDATING, IDEAL FOR TIMPERLEY METROLINK AND WITH A LOVELY FRONT ASPECT OVER DE QUINCEY PARK. 903sqft. Hall. Lounge. Dining Room. Kitchen. Three Bedrooms. Shower Room. Driveway. Gardens. A BEAUTIFULLY PRESENTED SEMI DETACHED FAMILY HOME WITH IMPRESSIVE GARDEN ROOM, WALKING DISTANCE OF NAVIGATION ROAD SCHOOL AND METRO. 789sqft. Hall. 16' Living/Dining Room. 14' Breakfast Kitchen. Home Office. Two Bedrooms. Family Bathroom. Driveway. Gardens. AN UPGRADED AND IMPROVED BAY FRONTED SEMI DETACHED LOCATED IN THIS POPULAR RESIDENTIAL LOCATION CLOSE TO ALTRINCHAM AND THE METROLINK. 874 sqft. Hall. WC. Lounge. Dining Kitchen. Utility. Three Bedrooms. Bathroom. Driveway. Gardens. A GORGEOUS TWO BEDROOMED PERIOD TERRACE IDEALLY POSITIONED WITHIN AN EASY REACH OF DIDSBURY VILLAGE. STYLISH INTERIOR. RE FITTED CONTEMPORARY KITCHEN AND BATHROOM. Hall. Lounge. Dining Room. Kitchen. Two Bedrooms. Large Bathroom. Private, rear Courtyard Garden. NO CHAIN! A STUNNING, COMPREHENSIVELY REFURBISHED, TWO DOUBLE BEDROOMED PERIOD TERRACE WHICH ENJOYS LOVELY VIEWS OVER CROSSFORD BRIDGE PLAYING FIELDS. HIGH SPEC FITTINGS THROUGHOUT. Hall. Lounge. Dining Room. Re fitted Kitchen. Two good Dbl Bedrooms. Walk in wardrobe/store room. Large Bathroom. Landscaped walled courtyard garden. A SUPERBLY APPOINTED RETIREMENT APARTMENT WITH THE RARE FEATURE OF A SOUTH FACING BALCONY AND A 360 DEGREE ROOF TERRACE. 726sqft. Hall. Living and Dining Room. Kitchen. Two fitted Double Bedrooms. Two Shower Rooms. ndercroft Parking. Communal Gardens. AN EXCELLENT SIZED THREE BEDROOMED MODERN DETACHED LOCATED ON A QUIET POPULAR CUL-DE-SAC. AMPLE DRIVING PARKING AND A LOVELY REAR GARDEN. Entrance Hall. Lounge. Dining Area. Kitchen. Three Bedrooms. Two Bath/Shower One En Suite. Driveway and Private rear Garden. Energy Rating: D. NO CHAIN. A BEAUTIFULLY APPOINTED PERIOD TERRACED PROPERTY CLOSE TO EXCELLENT LOCAL SCHOOLS, SHOPS, ALTRINCHAM TOWN CENTRE AND METROLINK. 943 sqft. Hall. 27' Living/Dining Room. 14' Kitchen. Two Double Bedrooms. 14' Principal Bedroom. Stylish Bathroom. Courtyard Garden. A BEAUTIFULLY APPOINTED APARTMENT SET WITHIN A MAGNIFICENT CONVERTED MANSION HOUSE AND FEATURING ITS OWN COURTYARD GARDEN. 980sqft. Beautiful Communal Hall. Entrance and Lower Halls. Living/Dining Room. Kitchen. Utility. Double Bedroom. Dressing Room/Bedroom 2. Bathroom. Parking. A WELL PRESENTED UPDATED AND IMPROVED PERIOD TERRACED WITH SUNNY ASPECT COURTYARD IN A POPULAR LOCATION CLOSE TO THE METROLINK. 853 sqft. 13' Lounge. 13' Dining Room. 10' Kitchen. Two Bedrooms. Bathroom. Courtyard Garden. No Chain. A SUPERBLY PROPORTIONED SECOND FLOOR APARTMENT WITH LIFT IN THIS POPULAR DEVELOPMENT CLOSE TO THE TOWN CENTRE AND THE METROLINKS. 829sqft. Hall. Lounge. Breakfast Kitchen. Two Bedrooms. Two Baths/Showers. Parking. Communal Gardens. No Chain. A SUPERBLY PRESENTED THREE BEDROOMED MODERN SEMI DETACHED WHICH ENJOYS A LARGE CONSERVATORY EXTENSION. DRIVEWAY PARKING AND LOVELY REAR GARDEN. IDEAL FOR METROLINK. Hall. WC. Lounge. Large Conservatory Dining Room. Kitchen. Three Bedrooms. Two Bath/Shower, one En Suite. Driveway. Lovely rear garden. A WELL PROPORTIONED END TERRACED PROPERTY ON THIS POPULAR ROAD WITHIN WALKING DISTANCE OF NAVIGATION ROAD METROLINK AND ALTRINCHAM. 936sqft. Hall. Living/Dining Room. 14' Kitchen. Utility. Two Bedrooms. 16' Principal Bedroom. Bathroom. Courtyard Garden. No Chain. A FABULOUS TWO BEDROOMED PERIOD END TERRACE WHICH ENJOYS A WONDERFUL LARGE REAR GARDEN. IDEAL LOCATION WITHIN THE HEART OF THE TOWN CENTRE. Lounge. Dining Kitchen. Two Bedrooms. Bathroom. Permit Parking. Perfect for those buyers wanting period property with more of a Garden! Energy Rating: NO CHAIN! **VIEWINGS SUNDAY 30TH SEPT CALL TO BOOK YOUR APPOINTMENT**AN IMPRESSIVE LARGE PERIOD, DOUBLE HEIGHT BAY, THREE BEDROOMED END TERRACE IDEALLY LOCATED CLOSE TO WITHINGTON CENTRE. GOOD SIZED ROOMS THROUGHOUT. Hall. Lounge. Dining Room. Kitchen. Three Bedrooms. Bathroom. Rear Courtyard. AN IMMACULATELY PRESENTED MODERN END TERRACE ON THE LATER PHASE OF POPULAR STAMFORD BROOK DEVELOPMENT WITH WAITROSE ON THE DOORSTEP. Hall. WC. Lounge. Dining Kitchen. Two Double Bedrooms. Bathroom. Two Car Parking to the rear. AN EXCELLENT TWO BEDROOMED SEMI DETACHED MODERN BUNGALOW WHICH ENJOYS A LOVELY CORNER POSITION WITH GARDENS TO THREE SIDES, DRIVEWAY AND GARAGE. Hall. 18' Lounge. Kitchen. Two Bedrooms. Shower Room. Lovely gardens. Driveway. Garage. NO CHAIN! A SUPERB TWO BEDROOMED GROUND FLOOR MAISONETTE STYLE APARTMENT WITH ITS OWN LOVELY GARDEN AND OWN FRONT AND BACK DOOR. IDEAL CUL DE SAC LOCATION JUST OFF PRIORY ROAD IDEAL FOR METROLINK AND TOWN CENTRE. Hall with storage. Lounge. Kitchen. Two Bedrooms. Bathroom. Established rear garden. NOT MANY APARTMENTS WITH A GARDEN! 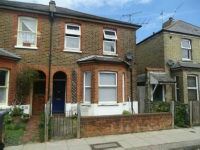 A BAY FRONTED PERIOD TERRACED, IN NEED OF SOME UPDATING, WALKING DISTANCE OF NAVIGATION ROAD METRO. 981 sqft. Hall. 26' Living and Dining Room. 8' Kitchen. Two Double Bedrooms. Bathroom. Cellars. Courtyard. Gardens. No Chain. A STYISH, MUCH IMPROVED AND UPGRADED, THREE BEDROOMED MODERN SEMI DETACHED LOCATED ON THIS POPULAR CUL DE SAC CLOSE TO WYTHENSHAWE PARK AND WITHIN AN EASY REACH OF THE NEW METROLINK STOPS. RE FITTED KITCHEN AND BATHROOM. Hall. Lounge. Contemporary Dining Kitchen. Three Bedrooms. Bathroom. Driveway parking. Enclosed rear garden. A STYLISH SECOND FLOOR APARTMENT ON THIS POPULAR DEVELOPMENT CLOSE TO ALTRINCHAM TOWN CENTRE, AVAILABLE TO BUY 100% OR 50% SHARED OWNERSHIP. 603sqft. Hall. Storage. Open Plan Living/Dining Kitchen. Two Double Bedrooms. Bathroom. Guest/Resident Parking. A WELL PROPORTIONED THREE BEDROOMED PERIOD TERRACE LOCATED ON THIS POPULAR CUL DE SAC WHICH IS IDEAL FOR THE SHOPS IN STRETFORD AND THE METROLINK. OPEN ASPECT TO THE REAR. SOME GENERAL UPDATING REQUIRED. Hall. Lounge. Dining room. Kitchen. Three Bedrooms. Bathroom. Enclosed walled courtyard. NO CHAIN! A SUPERBLY POSITIONED PURPOSE BUILT RETIREMENT FLAT OVERLOOKING DELIGHTFUL COMMUNAL GARDENS ON THIS DESIRABLE ROAD. 710sqft. Hall. 18' Lounge. Dining Area. 9' Kitchen. Two Bedrooms. Shower Room. Guest/Resident Parking. Communal Gardens. No Chain. **FOR SALE WITH NO CHAIN! **A GOOD SIZED TWO DBL BEDROOMED END TERRACE WHICH HAS DRIVEWAY PARKING AND ENJOYS A SUPERB PRIVATE REAR GARDEN. POPULAR LOCATION CLOSE TO SCHOOLS AND SHOPS. Hall. 19' Lounge. Kitchen and Dining Area. Two Dbl Bedrooms. Bathroom. Driveway Parking. Good sized garden. A FIRST FLOOR APARTMENT WITH FAR REACHING VIEWS FROM BALCONY AND UNDERCROFT PARKING IN THE STRIKING BUDENBERG DEVELOPMENT WALKING DISTANCE TO METRO. 602sqft. Hall. Living/Dining Room. Kitchen. Two Bedrooms. Bathroom. 16' Balcony Area. Communal Gardens. Lift. No Chain. A STYLISH SIXTH FLOOR TWO BEDROOMED APARTMENT LOCATED WITHIN THE HEART OF SALE TOWN CENTRE. AMAZING FAR REACHING VIEWS FROM MOST ROOMS! PARKING INCLUDED. LIFT TO ALL FLOORS. Hall with Storage. Lounge. Kitchen. Two Bedrooms. Bathroom. CANT GET MORE CONVENIENT! A STYLISH GROUND FLOOR APARTMENT WITH LARGE PATIO AREA IN THIS POPULAR DEVELOPMENT CLOSE TO METRO AND ALTRINCHAM. 488 sqft. Hall. 16' Living/Dining Room. Integrated Kitchen. 11' Bedroom. Stylish Bathroom. Terrace. Communal Gardens. Gated Development. A SUPERBLY PRESENTED TWO BEDROOMED MODERN SEMI DETACHED BUNGLOW IDEALLY POSITIONED ON THIS POPULAR CUL DE SAC. OVER 55'S ONLY. OFFERED FOR SALE ON A 75% OWNERSHIP BASIS. Hall. Lounge with patio doors. Kitchen. Two Bedrooms. Bathroom. Driveway parking. Lovely gardens. A BEAUTIFULLY PRESENTED GROUND FLOOR APARTMENT ON THIS POPULAR DEVELOPMENT CLOSE TO ALTRINCHAM TOWN CENTRE, AVAILABLE TO BUY 40% SHARED OWNERSHIP. 523sqft. Hall. Storage. 14' Living/Dining Room. 11' Kitchen. 11' Double Bedroom. Bathroom. Guest/Resident Parking.